Healthcare professionals face challenges on a daily basis; from dealing with scheduling issues to being trusted in life and death situations, no shift is stress-free. Our nursing supply storage systems can assist with the ongoing challenges nurses face and make your workday more efficient and less stressful. If the right supplies, tools, and equipment are on hand and organized in a way that the practitioners understand, everything will run smoother. Let our team of experienced healthcare facility planners – who focus solely on hospitals, clinics, skilled nursing facilities, and emergency care institutions – help provide you with the best solution, products, and services. Take a look at some of our options below. In order to have extremely quick and on-site access, CoreSTOR Nurse Server by Spacesaver will help ensure that important supplies are right by your nurses’ sides. 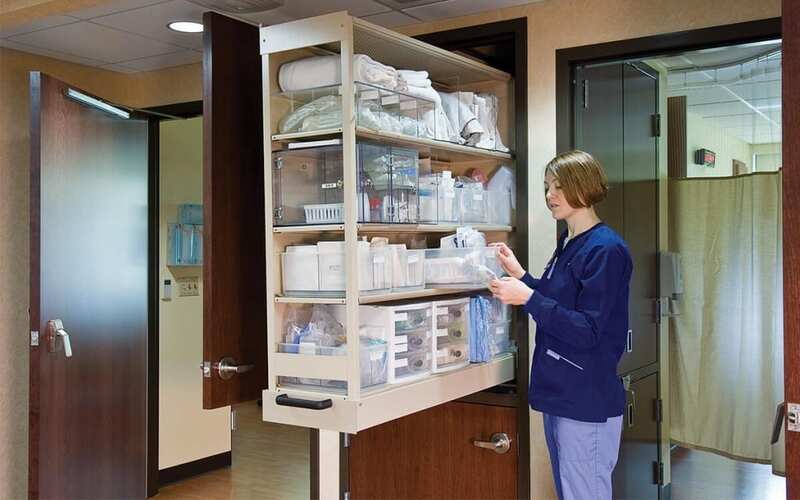 This nursing supply storage system is located inside and accessible in the patient’s room but can be stocked from the outside of the room as well. It puts 80% of your most frequently used supplies steps from your patients’ bedsides while minimizing patient disturbances. When emergencies happen, the supplies you need will be just a few steps away. 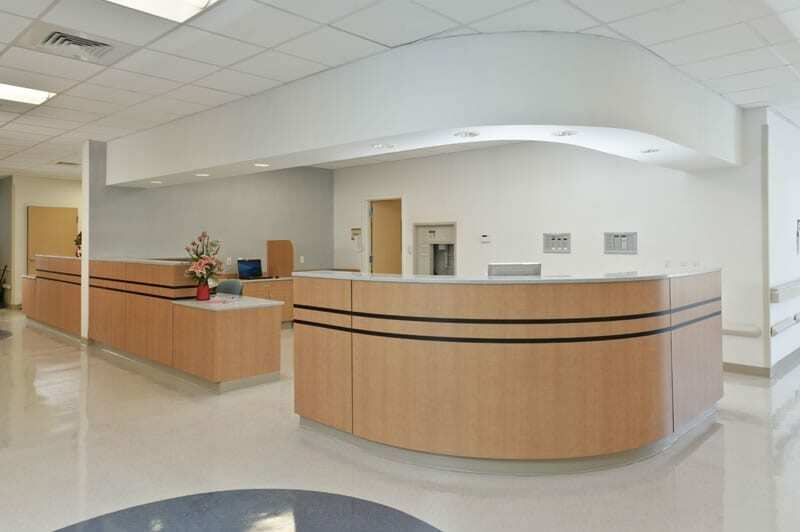 With the help of our friends at TMI Systems, we offer well-designed nursing stations to support the constant flow of traffic and activity in your healthcare facility. These stations combine architectural woodwork with appropriate casework for a durable product that is cost-efficient, can be easily cleaned, and offers a pleasant appearance. 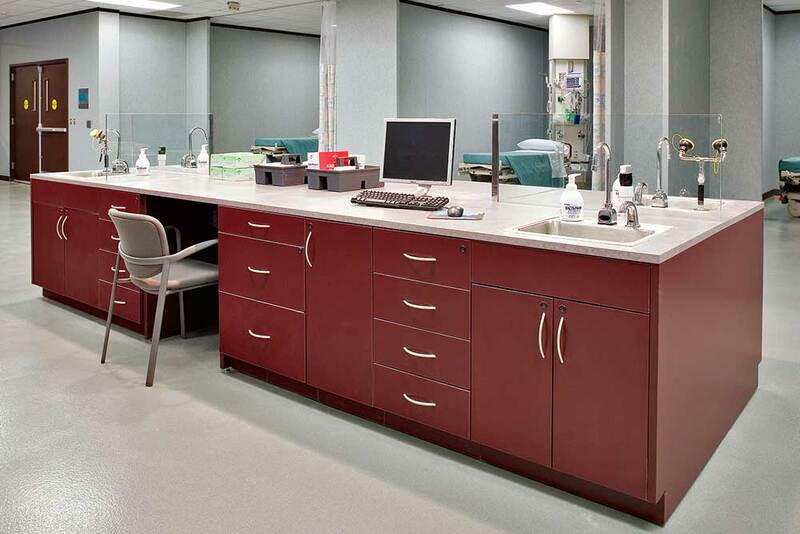 We work with Hamilton Sorter to provide an extensive line of cabinetry and features for state-of-the-art nursing islands for your healthcare environment. Nurse islands are the perfect shared storage solution for rooms with multiple beds, NICU and operating rooms, and more. Countertops are available in laminate, solid surface, stainless steel, phenolic resin and many other materials. Multiple door options, under mount slides, and quality, concealed hinges make for a smooth, uninterrupted aesthetic to your nursing space. 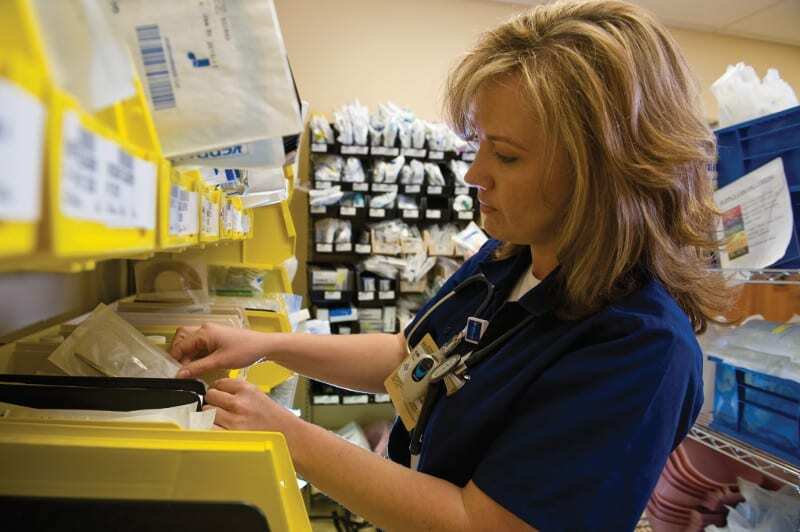 Our color-coded modular bin storage systems place medicines and equipment within reach and allow all medical supplies to be organized by type, which streamlines inventory management and replenishment. FrameWRX is comprised of a basic frame, a unique rail system, and a host of components. The rail system attaches to the structural frame and gives the storeroom an unmatched degree of flexibility and configurability. Ready to explore employee lockers for your office space?